I always taste new liquids with mixed feelings. I’m fairly hard to please, so there’s always a bit of excitement and apprehension. 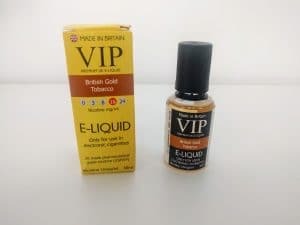 No need for apprehension here… VIP’s British Gold Tobacco is one carefully crafted e-liquid flavor I wish was easily available in North America! 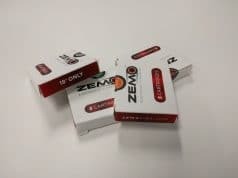 Don’t let the rather plain looking box fool you – this is quality stuff, made in the UK with pharmaceutical grade nicotine. How does it taste? 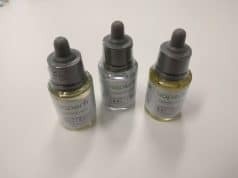 There’s a resemblance between this and some Halo e-liquids (who all seem to share the same aftertaste, for some reason) – but there is a clear tobacco note that I never found in their e-liquid flavors. While it’s a bit sweet, that smokey taste is simply brilliant. 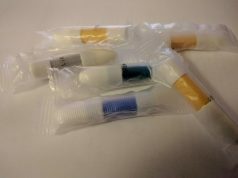 It’s also very good when mixed 50/50 with unflavoured liquid, for those seeking a more muted flavor. Being 70% PG, there’s plenty of throat hit, and vapor production is adequate (if you take a pretty big drag). It’s a great balance, especially for those using smaller devices. I cannot wait to try other flavors by VIP. Highly recommended! VIP is proving that it is indeed possible to create a balanced and realistic tobacco flavor. Highly recommended! Next articleIt’s been a while, but look at this gem! I share your view. This the best e liquid I’ve ever had. I’ve been using it for nearly 3 years and never got “bored”. Strictly recommend.